LORENZ is host to some of the most remarkable forum discussions on political, cultural and economic topics. as well as captains of industry. 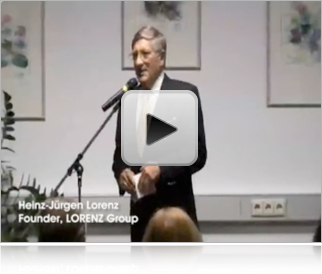 Held at LORENZ HQ in Frankurt/Main (Germany), the LORENZ Forums have offered a pleasant environment in which knowledgeable contemporaries have met to interpret and discuss current and future topics in business and politics, surrounded by friends and business partners of the LORENZ Group. Since 1996 the Forums have been hosted by Dr. Hans D. Barbier, publicist and once economic policy editor of the distinguished "Frankfurter Allgemeine Zeitung". Guests have included Chancellors of Germany, such as Willy Brandt or Helmut Schmidt, as well as ministers, intellectuals and key business leaders. The video is an introduction to the Podium event entitled, "Zukunftssuche - wer traut sich?" [Translation: "Searching for the Future: Who Dares?"] 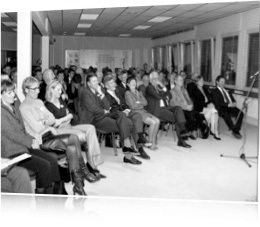 The event took place at LORENZ HQ in Frankfurt/Main (Germany) on the 15th November 2008. The excerpt contains material from the introduction.